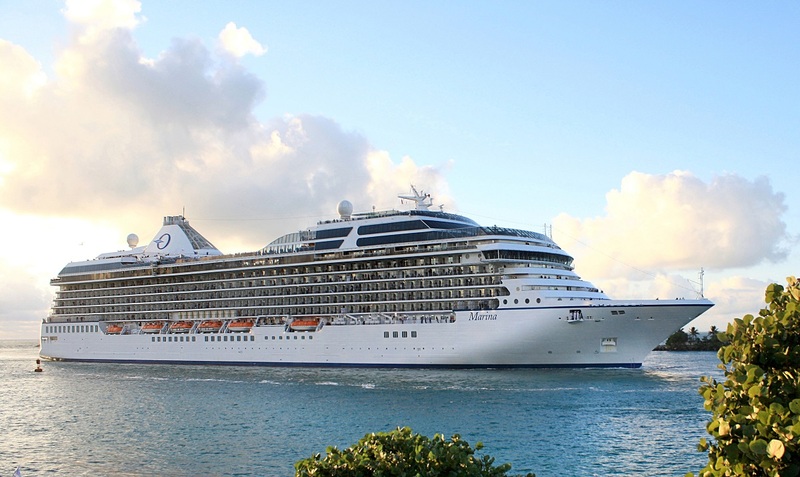 Oceania Cruises invites travellers to enjoy a sun-kissed cruise this coming holiday season in a range of exotic and exciting destinations, complete with delightful Christmas-themed menus and treats, joyous activities and all-round merriment. Marina’s holiday sailing, Caribbean Gems, cruises the coastline of the Western Caribbean, visiting many of Central America’s vibrant highlights. After spending Christmas Eve in Colon, Panama, Christmas Day will be enjoyed cruising the Caribbean Sea, before a Boxing Day visit sees Marina mooring at Harvest Caye, a 75-acre paradise with incredibly biodiverse surroundings, exotic wildlife and the world’s second largest coral reef. Sailing roundtrip Miami, 17th December 2017, the 12-day voyage also finds time to discover destinations in Guatemala, Mexico, Honduras, Costa Rica and Florida. Sun-Splashed Holiday on board Riviera allows guests to spend a Christmas Eve and Christmas Day like no other with back to back sea days, offering the perfect opportunity to enjoy OceaniaCruises’ elegant casual ambiance and immerse themselves in the special on board festive fun. The cruise sails round-trip Miami, 22nd December 2017, first visiting private island Great Stirrup Cay, Bahamas and then a tour of the Southern Caribbean’s most beautiful destinations including Martinique, Grenada, Barbados and St Lucia. Guests will also be able to ring in 2018 following explorations of St John’s, Antigua on New Year’s Eve, before relaxing into their New Year with another day at sea. The Festive Americas cruise on board Sirena sails a 35-day holiday voyage from San Diego to Rio de Janeiro, sailing the Mexican Riviera and fascinating West Coast of Central America before a post-Boxing Day transit of the Panama Canal. The ship then navigates the Southern Caribbean calling on Curacao, Barbados, and Trinidad and Tobago before sailing on to South America in the New Year. Here, guests will have the chance to visit French Guiana, multiple ports of the Amazon and highlights of Brazil’s west coast including Recife and Salvador. The sailing can also be enjoyed as a 13-day San Diego to Curacao cruise from 16th to 29th December 2017; or as a 22-day cruise from Curacao to Rio de Janeiro cruise from 29th December 2017 to 20th January 2018. For new bookings made by 15th November 2017, Oceania Cruises will make a donation of £350 per veranda stateroom and above, on selected Caribbean voyages sailing from December 2017 to April 2018, to assist in fund-raising efforts for humanitarian aid and to help restore and maintain a vibrant tourism environment in the region. Through a partnership with All Hands Volunteers under the Hope Starts Here program, Oceania Cruises and its sister brands have pledged to raise at least $2.5 million dollars for relief efforts with the company committed to $1.25 million in matching donations from valued guests, team members, suppliers, and travel partners to ensure that our efforts to assist these islands in their time of need makes an even greater positive impact. Along with the cruises on board Marina, Riviera and Sirena, the remaining ships of the six-strong upper premium fleet – Regatta, Insignia and Nautica – will celebrate the Christmas and New Year period discovering Cuba, the Indian Subcontinent, South East Asia, the South Pacific and a circumnavigation of Australia. With traditional Christmas and Chanukah services, Oceania Cruises will also festively decorate the entire fleet with trees, garlands and lights. A beautiful gingerbread-house village stars as the focal point, which will delight guests with a selection of sweet treats – such as fruit cake, candy canes, Italian panettone and Russian tea snowballs – being placed next to the display. A festive feast will be on offer with rousing Christmas Eve carols and sumptuous Christmas Eve and Day dinners courtesy of the cruise line which boasts the finest cuisine at sea. Eggnog will be served during breakfast at The Grand Dining Room and Terrace Café on Christmas Day and in the Grand Dining Room, Christmas dinner is a seven-course banquet including an amuse-bouche of lobster medallions with daikon and caviar in acacia honey vinaigrette; Napoleon of sautéed duck foie gras and rhubarb, violet and hibiscus flower sauce; creamy pumpkin soup cappuccino with fried parsley; a whole roasted Christmas goose with apple stuffing; and, if there’s still room, an indulgent Christmas pudding. Continuing the celebrations, the ship’s talented entertainment team will perform a fabulous Christmas show as well as a heart-warming reading of The Night Before Christmas. To top off a very merry on-board ambiance, Santa Claus himself will be coming down the ship’s funnel to find out who has been naughty and nice.